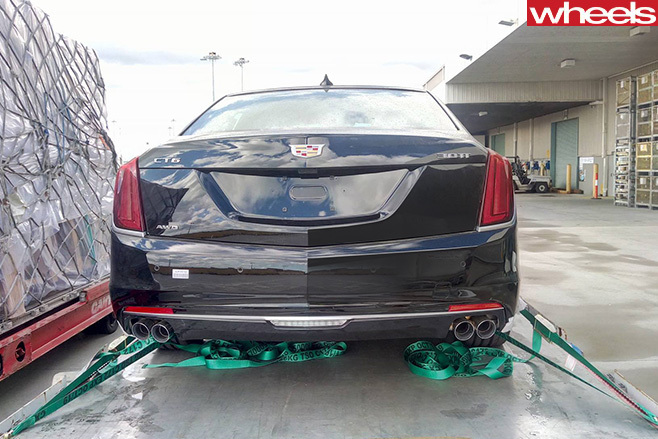 2018 Cadillac CT6 spied in Australia, but is it really a V8? 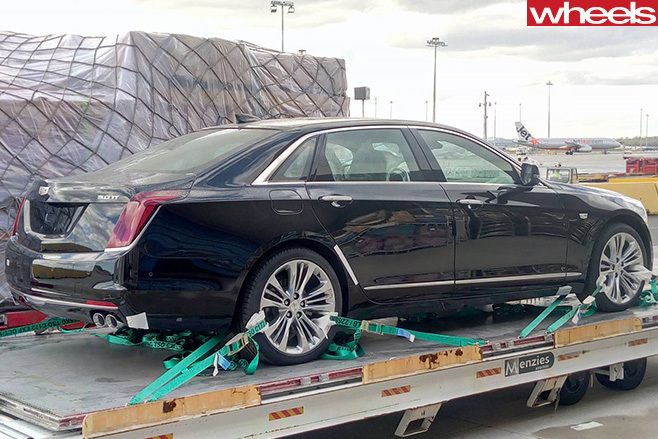 Cadillac wouldn’t go to the trouble of air-freighting two Cadillacs to Australia without them being something special, right? 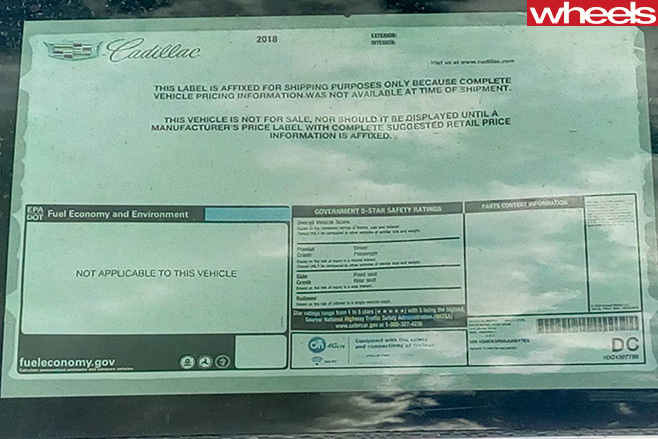 A SHARP-EYED Markeaton reader has spied a pair of top-secret V6 Cadillacs that are so undercover that have been slipped into Australia via air. And under the bonnet, they could be V8s. 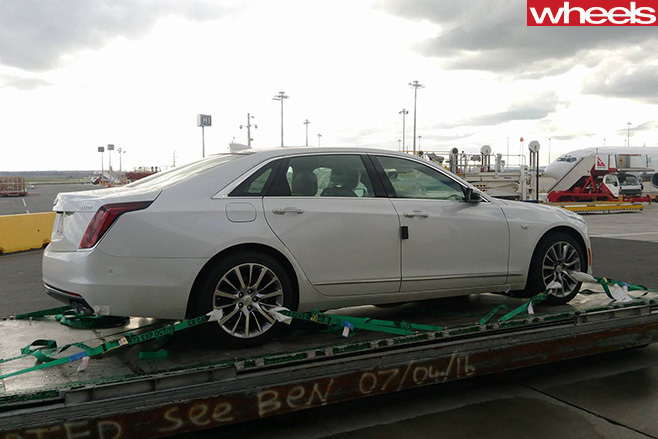 The two cars - marked as model year 2018 and sporting quad exhausts - were air-freighted into Melbourne under the cover of darkness yesterday. Like the development mule that was spirited into Australia a few months ago via the same flight path, these cars are destined for GM’s Holden-owned Lang Lang proving ground. However, where these two cars differ in a big, big way from the ones we’ve seen before is down the back. The two traditional wide trapezoidal exhaust pipes have been replaced with quad tips, despite the cars still wearing the ‘V6TT’ badge. Could this be the long-rumoured V8 wolf in twin-turbo V6 clothing? 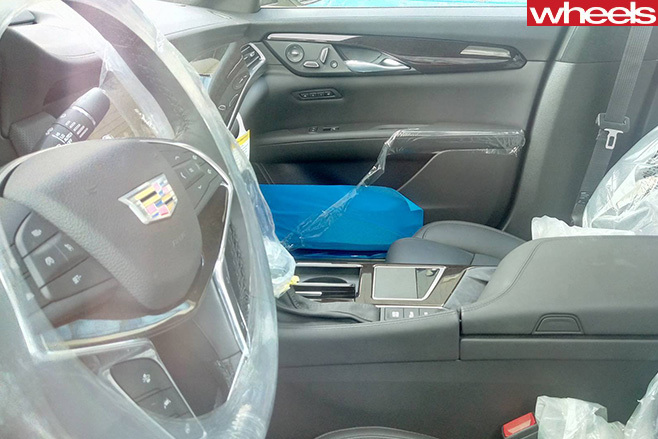 Australia seems to be playing a key role in the Cadillac CT6’s development, with readers spotting left-hand-drive test cars on the road throughout the state as they clock up development miles. We reached out to Holden for comment, with Haydn Lane, senior manager of external communications, stating the cars are indeed Holden’s, but they won’t be coming to market. 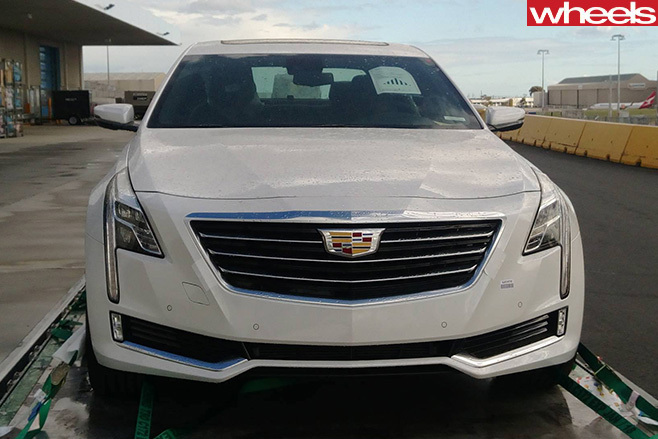 The fresh-look CT6 is an important model for Cadillac. The latest US data shows sales for the brand slumped almost eight percent in September, but grew globally with the CT6 up by almost 20 percent. Holden is believed to have a vested interest in working on the 298kW/543Nm twin-turbo version of the Cadillac’s 3.6-litre V6 – the source of the V6TT badge – as it is likely to be slipped under the bonnet of a HSV-badged version of the Opel Insignia, the car recently confirmed as the replacement for the locally-made Holden Commodore from early in 2018. Like the Cadillac CT6, the fully-imported Holden Commodore replacement is expected to come with fuel-saving technology that shuts down cylinders at light engine loads, and an eight-speed automatic transmission, as well as the option of on-demand all-wheel drive.